There's a labyrinthine history behind the Dragon Slayer games - you can read up on all of the site's Falcom articles for more information - but the gist goes something like this. Dragon Slayer was originally a very (VERY) early dungeon crawly RPG, but Falcom later turned it into a "brand", releasing several successors that, while technically very different games, sort of drew upon various elements of each other. While most of these games were action-RPG hybrids, this all stopped at the sixth Dragon Slayer game, Legend of Heroes (or Eiyuu Densetsu), which was a pretty standard Dragon Quest clone. (I have an unfinished article for a bit about that.) It was fairly popular and ported every which way, but the only version to make it Stateside was the Turbografx-16 CD version, which was probably the best of them anyway. It later spawned three other sequels known as the Gagharv Trilogy, which were the games released on the PSP a few years back (the PSP ports/English translations are baaaaad) as well as the sixth chapter, Sora no Kiseki, which in turn had three separate games, and there's a seventh Legend of Heroes coming soon. Back to the point! The first Legend of Heroes game was the basis for an anime called (obviously) Dragon Slayer, which was released in Japan in 1992, and localized by Urban Vision in 1997. Other than a few scant mentions of Falcom in credits, this North American release wasn't tied in with the game, because it was based on an obscure something released five years earlier on a system nobody owned anyway. 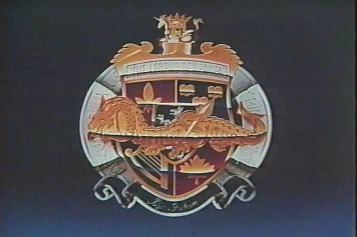 But hey, it was probably cheap to license, and it fulfilled their fantasy anime quota for a bit. I won't lie - I've only watched a bit of this when it was recording. It's pretty bad. It's an OVA, which means there's not enough time for reasonable character development nor anything resembling an interesting plot. It's wholly generic fantasy fare and it barely has anything in common with the game it's purportedly based on. Sure, some of the characters names are the same, but they look totally different, and it doesn't feel the same, at all, even though it uses some music from it. That's not really a positive, though, because Legend of Heroes' soundtrack was only interesting when arranged by Ryo Yonemitsu for the TG-16 port (who also did all of the TG-16 Ys games). In its standard form, it attempts to be rousing but is completely held back by the cheap orchestral synth (they called them "electric orchestra" back in the day). It was released separately with the name Symphonic Poem Dragon Slayer ~ The Legend of Heroes Vol. 2. I own this CD, and it is quite dull. This isn't the first time this happened to a Falcom anime. There was also an OVA based off Xanadu, which originally had the look and feel of an action version of Wizardry and somehow got turned into a show about mecha and tentacle thingies. As much as I love Falcom, they have a tendency to farm out their properties and do as little as possible to make sure they aren't screwed up. (Those Ys DS ports, for instance.) 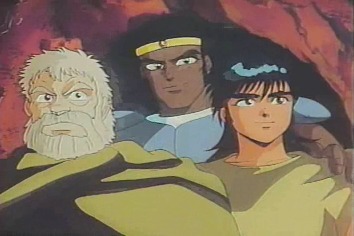 I might post this Xanadu anime later, although it's still in raw Japanese. The only thing I can't figure out is if this contains both episodes of the OVA or only one. I didn't notice any particular chapter breaks, but it is a bit over 40 mins total, which seems to suggest they combined both onto one tape. 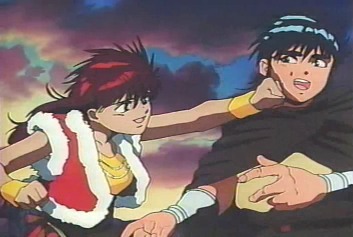 The OVA was animated by Dynamic Planning, which is Go Nagai's animation company to put it simply. This explains some of the tentacles, the violence and so on. 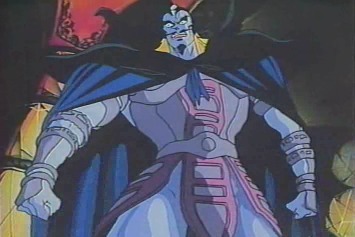 The monster design especially in the OVA takes cues from both Nagai's and Ken Ishikawa's own styles.